Alabama Landlord Tenant Laws are governed by Alabama Code, Title 35: Property – Chapter 9A, Uniform Residential Landlord and Tenant Act. In addition to the General Provisions and Definitions, the Alabama Landlord Tenant Laws explain the rights and responsibilities of the parties to a landlord tenant agreement. Remedies are provided should one of the parties in a landlord tenant relationship violate the Alabama Landlord Tenant Law statutes. No part of this information is a substitute for legal advice. If you have questions or believe you have a legal case under Alabama Landlord Tenant Law, you should contact an attorney. Stay up to date on Alabama Landlord Tenant Laws + Save money on tenant screening and other property management needs. Join AAOA today, it’s FREE! Landlords can require that a tenant pay a security deposit, but the amount of the security deposit cannot exceed the amount of a one month rent payment. Within 60 days of the termination of the tenancy, the landlord is required to return the security deposit, less any damages or outstanding rent due, to the forwarding address provided by the tenant. If the landlord does deduct damages from the security deposit, an itemized list of damages, as well as any other deductions must be provided to the tenant in writing. If the landlord fails to return the security deposit within 60 days, “The landlord shall pay the tenant double the amount of the tenant’s original deposit,” in accordance with Alabama Landlord Tenant Law. The tenant has organized or become a member of a tenant’s union or similar organization. Screening rental applicants is necessary to determine the best applicants for your rental properties. With Alabama Tenant Screening, the process is quick and easy. Alabama Landlord Forms allows you to have every form you need when you need to have it. Protect yourself and your property when you have essential forms on hand and comply with Alabama Landlord Tenant Laws. A key component of landlord tenant laws is also Alabama Tenant Screening Background Checks. We’ve dedicated an entire page to it because of its importance. Visit Alabama Tenant Screening Background Checks to screen your tenant to screen your tenant. 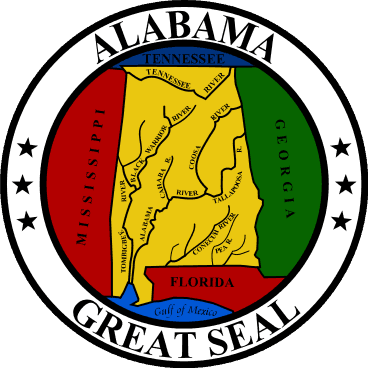 Need a tenant screening background check in a state other than Alabama? AAOA’s tenant screening reports are available nationwide. See our tenant screening background checks page to view other states or start ordering a tenant screening background check now! All states require a variety of forms to rent an apartment to a tenant and Alabama is no exception. Check out American Apartment Owners Association’s Alabama Landlord Forms now. Looking for landlord tenant laws outside of Alabama? The American Apartment Owners Association offers helpful landlord tenant laws for all 50 states. Click on any of the states listed below and go directly to its landlord tenant law page. To visit the homepage of landlord tenant laws, click here.